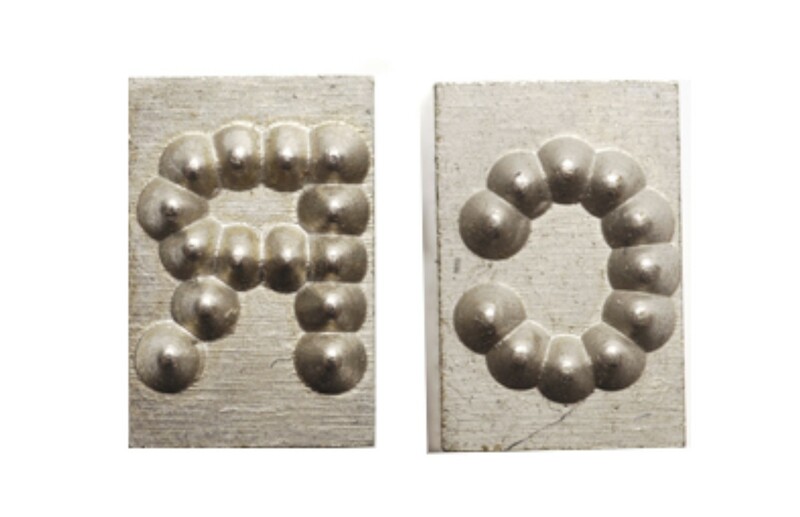 Steel types or also called interchangeable steel types are sharp faced marking stamps which mark a readable imprint in metal and plastic components. Each steel type has standardized blanks which suit perfectly into hand holders and holders for marking presses. Marking with steel types and holders saves time – in just one stroke, a series of letters and figures can be indented in a product or name plate with uniform legibility. This is the most simple solution for multi-character marking using standard, off the shelf type and holders. 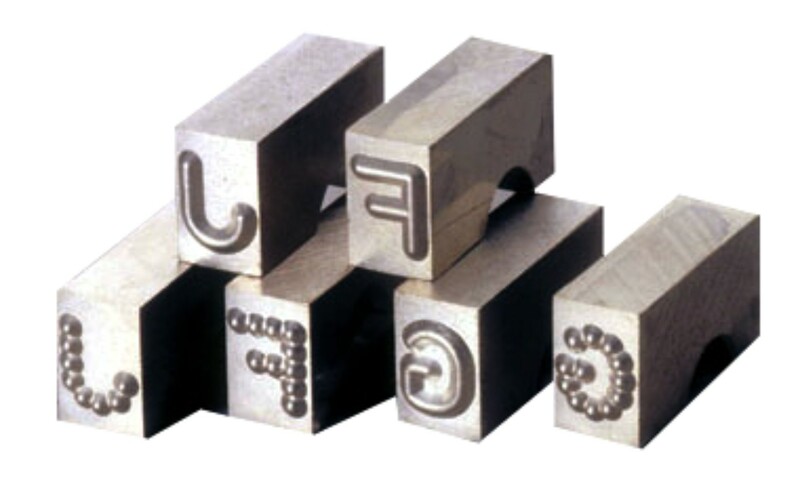 Our steel types are available in various versions, each with their own blank size. Our steel types are available as single pieces in different versions and sizes as well as complete fount sets of 100 assorted types with or without hand holder. 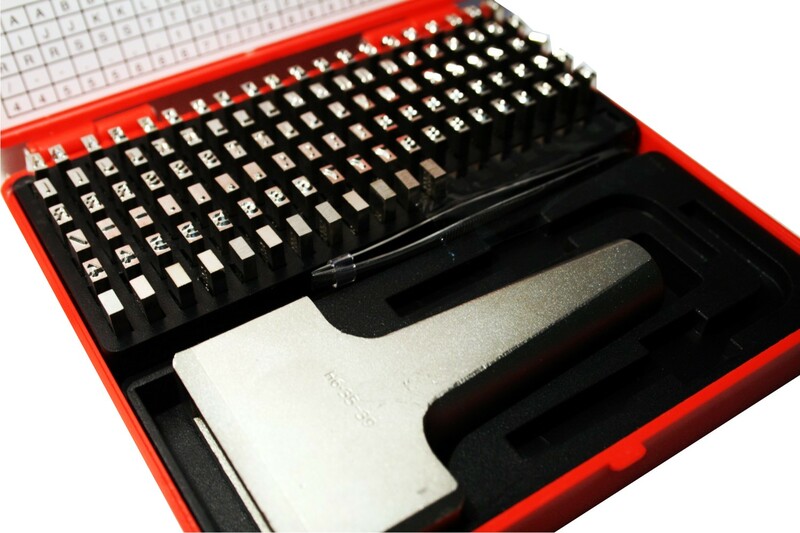 The size of the characters may vary from 1.5 to 10.0 mm, special fonts (Cyrillic…), special dimensions and special character size above 10.0 mm are made after drawing or after sample. Our steel types fit into type holders, which are designed to provide accurate type location and positive locking combined with ease of use and durability. The type is secured in place by means of a grub screw (Allen key supplied). Those holders accept the range of Pryor types, Imperial types and Euro types and are available in various sizes with various capacities. 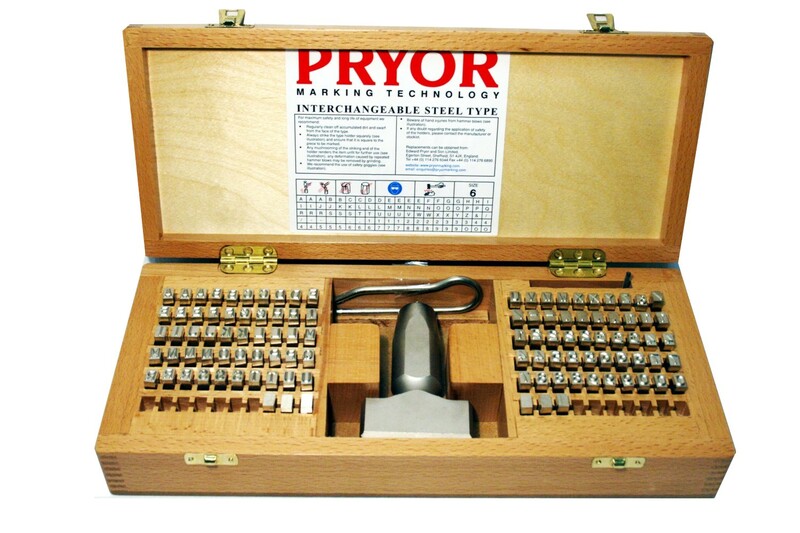 The steel types of the brand PRYOR are made out of high-quality Sheffield tool steel and are hardened under exact conditions to 59-63 of Rockwell “C”. On customer demand, we also manufacture all kinds of custom engraved dies and special types like logo stamps, symbol stamp (f.e. : CE signs), block types or segmental types. In which qualities/versions are our punches available? Steel types are a simple and favourable solution for multi-character marking in one single stroke. Due to the standardized dimensions, each type is replaceable and any combination of types and figures can be indented. The favourable price in combination with the high durability of the stamps and the high flexibility, our steel types offer great cost/performance ratio for many industrial marking applications. 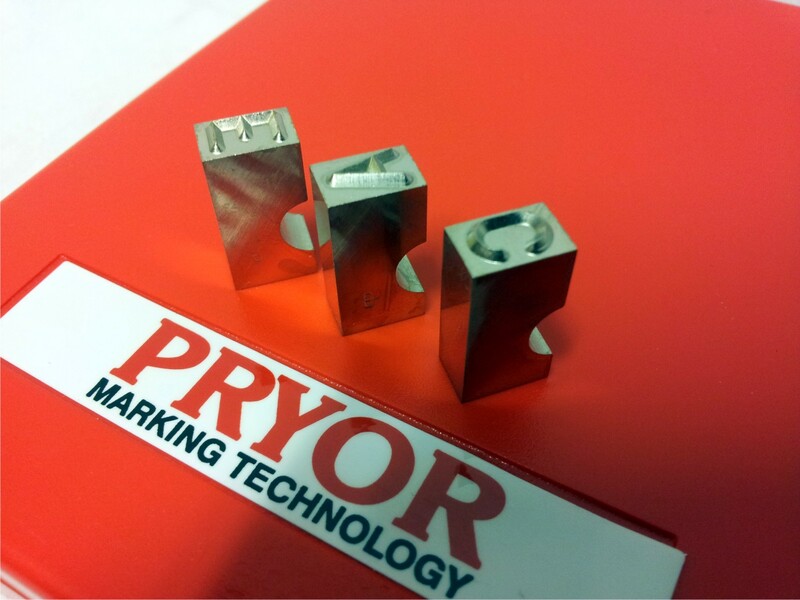 Advantages – Why choose steel types for your marking needs?